You can wear the versatile Huchen 3-in-1 Jacket as an insulated, waterproof/breathable jacket for cold, stormy weather, as a waterproof/breathable shell for rainy and windy conditions, or as soft, comfortable insulation for everyday use. It starts with a 2-layer H2No® Performance Standard shell fabric made of 90% recycled polyester and 10% organic cotton twill that’s completely waterproof, windproof and breathable for prolonged use in extreme weather and has a DWR (durable water repellent) finish that boosts the wet-weather protection and increases durability. A 100% recycled polyester lining glides smoothly over layers when the shell is worn alone. Inside, a zip-out shell made of soft 100% recycled polyester taffeta with a DWR finish is insulated with warm Thermogreen® polyester (60-g through the body; 80-g through the sleeves) to hold heat. It’s lined with a cushy ¼"-pile fleece through the body for next-to-skin comfort, moisture management and additional warmth. 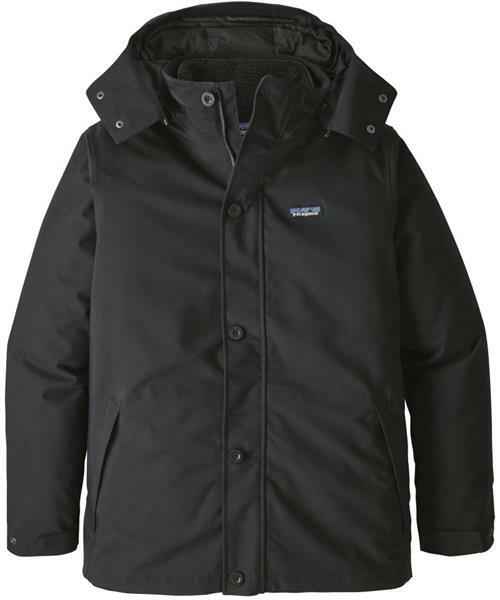 The outer shell has a full front zipper with a button-flap closure and a zip-through collar that’s lined with soft microfleece; the removable insulated hood lies flat when not in use. A zippered left-chest pocket is headphone compatible and handwarmer pockets (with waterproof-zippers) are lined with soft brushed jersey for comfort. Adjustable cuffs and an adjustable hem drawcord provide maximum weather protection. The zip-out shell features diamond quilting to trap heat, a full front zipper with a zip-through stand-up collar for wind protection and a zipper garage to protect your chin. Handwarmer pockets are lined with soft microfleece and a zippered interior chest pocket stores your valuables. The sleeves are lined with recycled polyester taffeta for easy on/off. The zip-out shell attaches to the outer shell via center-front zippers and snap loops at the cuffs and back of the neck. Hip length.